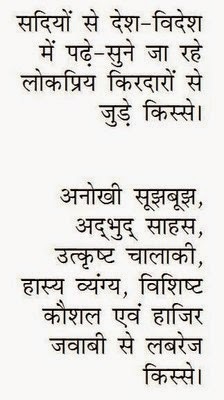 Panchtantra Ki Kathayen: Jangal Ke Janwaron Se Seekhen Vyavharneeti, rajneet aur Leadership (Hindi) is a collection of ancient Sanskrit stories from India. The book will be a perfect read for young readers aged between 8 and 12 years. 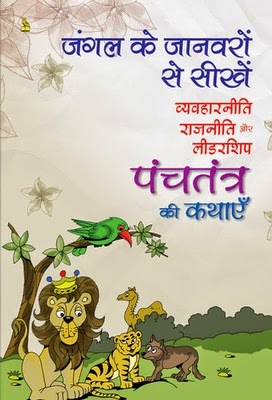 Panchtantra is a collection of five volumes of animal fables, which are the loss of friends, the gain of friends, crows and owls, loss of gains and ill-considered action. Panchtantra was written by gurus, which served a guide for young princes in the ancient India. All stories of the Panchtantra are accompanied with a moral, which will help children learn about human values. Ganga Parasad Sharma is an Indian author. He has translated this book to make it easy for the children to read. He has also authored other children’s books like Gangaram Patel aur Bulakhi Nai Ke Kisse (Hindi) and Gopal Bhand Ke Manoranjak Kisse.